Conor Byrne: Was Henry VIII A Bloodthirsty Wife Killer? Thankyou for your blog. It’s very interesting. I think it’s worth stating at the start that your argument revolves around “intent”. Did Henry intend to kill his wives? And at what point did he intend to do this? I don’t think it’s plausible to argue that Henry was not a wife killer. Of course, Anne and Katherine H met their death at his end. I think it might be useful to draw some wider comparisons. So, for example, if there was a husband who wanted to be with the nanny, rather than his wife and then killed the wife to be with the nanny, are they a wife killer or not? So the intent was not the death of the wife but the fact that he wanted to make it easier to be with the nanny. Surely, this argument is on the same level with some of the reasons why Henry got rid of Anne. So, if I want a male heir, it could conceivable be easier if my wife who does not look like producing one is killed to make way for another wife. In these two situations, does Henry and our hypothetical husband become any less wife killers because they did not intend to kill their wives for killing’s sake? I would argue no. Both cases see killing as a means to achieving another goal but we could say that others in similar situations would choose different routes. Just a thought. Also, I think in defence of your argument, it might also be useful to consider the case of Catherine Parr. If we go down the line that Henry declined after 1536 and went down the road of killing more often than he did not, the fact that Catherine survived the events of 1546 are a more positive argument that Henry did not always turn to violence against his wives as a means of resolving difficult problems. Thanks for your thoughtful comment. You are absolutely right to point to the importance of 'intent' - I hope I show in this article, in which I agree with Suzannah Lipscomb, that Henry VIII was not the bloodthirsty monarch who was ready to sacrifice wives who displeased him at a whim. He was fully supporting his wife Anne Boleyn until less than a month before her death, which rejects the traditional interpretation of the breakdown of their marriage, enshrined in popular culture. Your analogy is interesting - and I would certainly not disagree with you that, by virtue of sentencing to death Anne and Katherine, Henry was a wife-killer. Rather, I would suggest that the prevailing and popular view of him as a tyrannical and suspicious man who did sentence to death wives the minute they angered him or failed to bear sons is not necessarily correct - as mentioned he was still committed to Anne weeks before her disgrace and he was fully in love with Katherine at the time of her downfall. It was other circumstances that forced his hand, namely suspicion of sexual misconduct, not necessarily their failure to provide heirs - although this did certainly contribute. You are right to mention Katherine Parr. 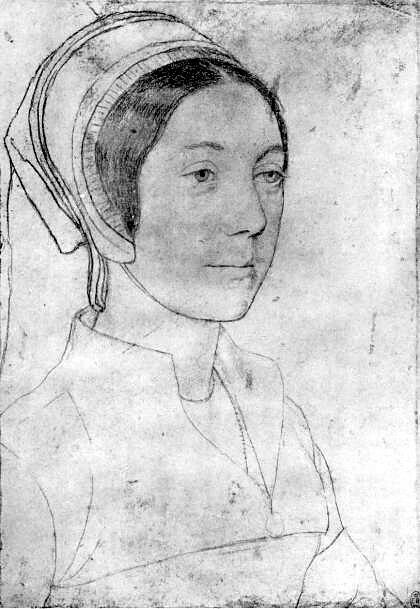 Certainly she could also have ended up one of Henry's victims, but one also questions whether Henry ever seriously tacitly supported the moves against her for, as with Cranmer and Stephen Gardiner, it has been suggested that he manipulated factions within his court to cause disarray and conflict while retaining and conveying his own power. Still, very interesting. Katherine pleaded her ignorance and won Henry's forgiveness, but wives two and five were not granted any such mercy. Why was this? Was it because Katherine Parr got a chance to speak to the king, when the others did not? Perhaps not - Anne made the famous appeal to Henry, holding Elizabeth, outside the palace walls, while popular legend makes the (probably apocryphal) claim that Katherine Howard ran down the corridors of Hampton Court to talk to him. So maybe the likelier reason is that Katherine Parr was not accused of adultery or infidelity. Sexual misconduct may have offended the king most of all. A couple of final thoughts-the idea of a tyrannical and suspicious man who on a whim got rid of his wives may be overplayed as suggested with Katherine P. However, with my argument above, it may have become a natural response for him to kill to get rid of flawed marriages. Clearly, there must have been a dialogue going on for him in his personality before he reached this conclusion but reached it he did twice. So, there seems to have been tipping points where Anne was fatally flawed despite their previous affection and so with Katherine H. And probably the link might not be sexual misconduct but the concept of honour which would then link the two queens with other Henrician deaths such as More. When Henry felt his honour had been compromised, he would then kill. The fact is that Katherine P did not reach this tipping point but perhaps came close. Given that he had two wives executed, it's a bit hard not to see him as a wife killer. cettainly not the ideal husband. I'd have to disagree with this, with Anne Boleyn, Henry was a wife killer. In 1536, he was 44 years old and still without a male heir. That was his basis for annulling his marriage to Katherine of Aragon, and thus he wasn't going to tolerate not having a son with Anne Boleyn. Evidence has shown Henry as capable of saying one thing and meaning another so this "support" he showed Anne Boleyn doesn't really say anything. At the end of the day, Anne and five other men had false charges made up against them and were sent to their deaths all at the behest of Henry VIII of England. I don't believe in the theory that this was all an attempt for Henry to regain his manhood. He wanted Anne out of the way, and he wasn't going to tolerate having another wife in the background while he entered a new marriage. And then there is his behavior with Jane Seymour at this time as well. And you know what else is telling? Henry VIII told Jane Seymour (who spoke up against his policy) during the Pilgrimage of the Grace to remember the previous queen who had died due to interfering with matters of state. Now if Henry believed Anne had actually committed adultery, why was he saying this to Jane Seymour who certainly hadn't displayed behaviors like Anne? It was a warning to Jane, that Henry didn't like women who meddled in his affairs. That is very telling and chilling. As for Katherine Howard, I believe he was genuinely upset to discover Katherine Howard's past, but he still had her executed, which makes him a wife killer. Look at what he did with Jane Rochford, who was rumored to be insane during this time. Henry had the law changed to make it legal to execute insane people. There was vengeance at play as well.